The amendments to the EU Withdrawal Bill tabled at Westminster this week expose the Scottish fishing industry to further betrayal by the Tories. 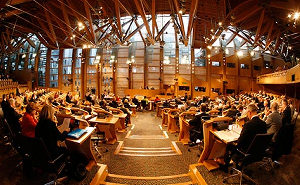 Cullen Bowling and Tennis Club has been praised in the Scottish Parliament by the Minister for Public Health and Sport. 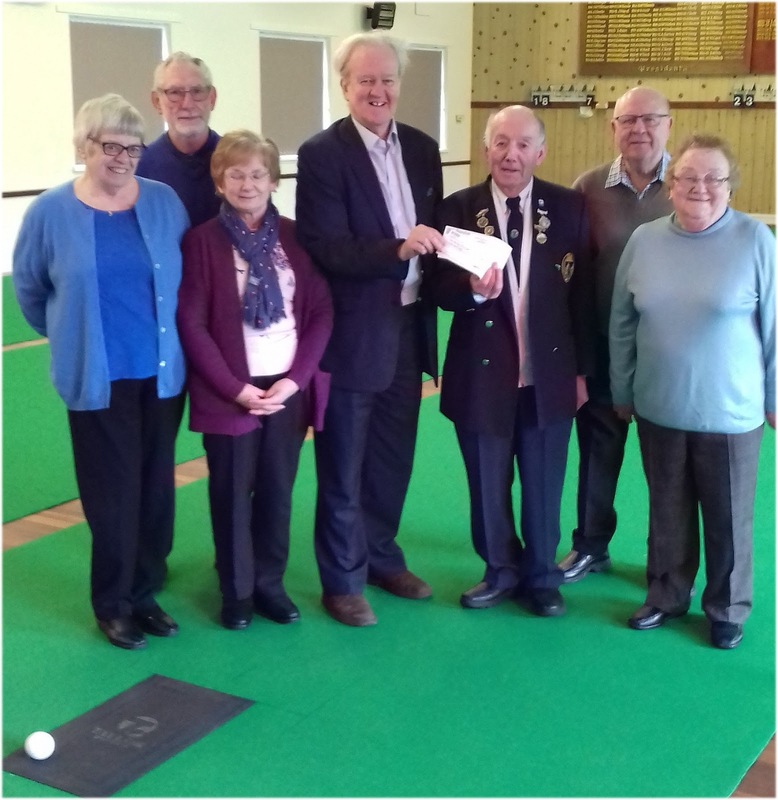 Banffshire & Buchan Coast MSP Stewart Stevenson highlighted the work being done by the club with its coaching sessions for young people, to encourage more from that age group to take up sport. 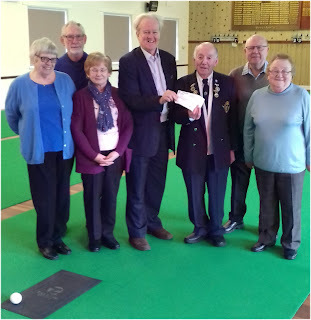 The SNP MSP recently visited the club to hand over cheques to assist with the coaching which were the result of fees he received for taking part in research projects. The club has now received £160.00 as a result of being nominated by Mr Stevenson to receive the proceeds. Minister for Public Health and Sport, Aileen Campbell MSP said Cullen Bowling and Tennis Club is “a great example of encouraging young people to join a club”. 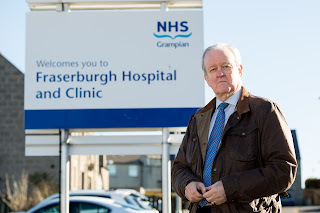 Banffshire & Buchan Coast MSP Stewart Stevenson has welcomed the public drop in session in Buckie which was held by NHS Grampian in response to concerns over the overnight closure of the children’s ward at Dr Gray’s Hospital in Elgin. Women’s and children’s services have been affected by a shortage of staff resulting in the closure of wards overnight. The MSP for Buckie has highlighted that whilst the funding is in place for the posts there have not been sufficient applicants coming forward to fill jobs and ensure a safe level of service can be provided through the night. “There are many people in the Buckie area who are, quite rightly, concerned about the overnight closure of the children’s ward at Dr Gray’s in Elgin. However, it should be stressed that this is not due to a lack of funding but rather a difficulty in recruiting the adequate number of staff to keep the service running safely through the night. “The drop in sessions are a critical way of NHS Grampian engaging with the local community to see what more can be done to get people to apply for these posts as well as answering questions. I am sure that NHS Grampian managers have been given many ideas to reflect on and I look forward to seeing the results. “A number of actions are already underway including a fantastic promotional video aimed at recruiting medical staff to Moray and the establishment of the Keep MUM group which is doing a great job. I also welcome the ‘Move to Moray’ initiative being driven by my SNP colleague Richard Lochhead MSP which is looking at developing a package of incentives as another tool to attract people to the area. 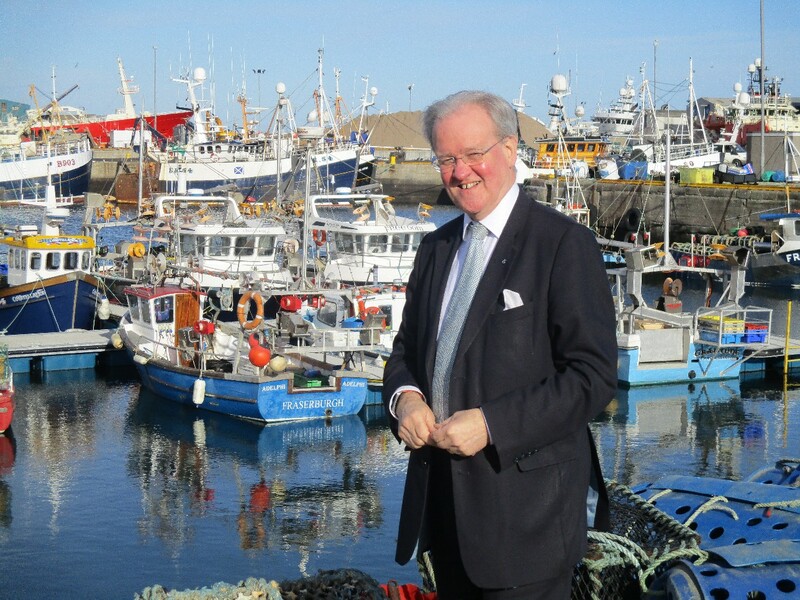 Banffshire & Buchan Coast SNP MSP Stewart Stevenson has welcomed the announcement from Fraserburgh Harbour Commissioners of an ambitious project to diversify and modernise Fraserburgh Harbour. “With the right consultation, a masterplan for Fraserburgh will help support economic development in the region. There is no reason why it shouldn’t be in the same league as Peterhead and Wick and it’s promising to see innovating ideas put forward. “This is the first masterplan of this scale considered for Fraserburgh Harbour which is no small undertaking. But if we can envision progress and development over the next two decades there could be real benefits to the town and its community. Banffshire and Buchan Coast MSP Stewart Stevenson has welcomed figures which show more than 95% of Scotland’s homes and businesses are now able to connect to fibre-enabled broadband. It comes as the Scottish Government continues to deliver the rollout through the Digital Scotland Superfast Broadband (DSSB) project. Around 890,000 premises are now connected and there has been a total contribution of £280million from across the public sector in Scotland. “For rural areas fast and reliable internet is necessary for the future economic and social success of communities. “There is still work to do, but these most recent figures are a landmark for the Digital Scotland Superfast Broadband programme. “Around 890,000 premises have been connected to fibre broadband so far. We want to ensure Scotland can offer world-class digital infrastructure including in the North-East of Scotland. Figures have revealed the number of people fatally injured on North-East roads is at its lowest level since current records began in 1974. Banffshire and Buchan Coast MSP Stewart Stevenson has welcomed the data which shows last year 14 people were killed compared with figures from more than 40 years ago, which show there were 102 people died within the same time frame. The figures are provisional statistics for the combined local authority areas of Aberdeen, Aberdeenshire and Moray. The previous lowest figure occurred in 2011, when 22 people died during the year. “The decrease in the number of fatalities is welcome but we must not become complacent about the safety on our roads. “The impact on family and friends from the death of a loved one is tragic and has consequences that are long-lasting. “I would like to commend the emergency services and local authorities for all their hard work on this issue. 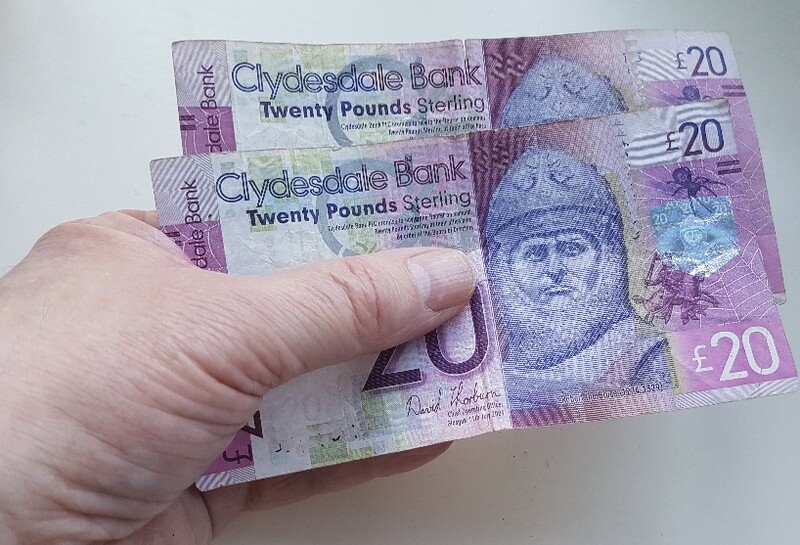 Banffshire and Buchan Coast MSP Stewart Stevenson has welcomed the move as changes to the Higher and Top rate tax bands take effect from today (April 6th). It also means there will be an additional £428million available in 2018/19 to invest in vital public services and the economy. And under the new system, low earning taxpayers are protected through the introduction of a new Starter Rate of tax. The income tax system will also be more progressive, raising additional revenue through the introduction of a new Intermediate Rate of 21% and increases to the Higher and Top Rates, to 41% and 46%. As a result of these changes, and the increase in the personal allowance, all taxpayers earning up to £33,000 - 70% of all taxpayers - will be protected from any increase. Those earning more than £33,000 will pay only a proportionate amount more. “The new income rates and bands will make the system more progressive. “As well as this, they will help to deliver additional revenues to invest in public services and the economy. David Mundell faces tough questions over the threat to Scottish farming as he starts a tour promoting the Tory power grab. 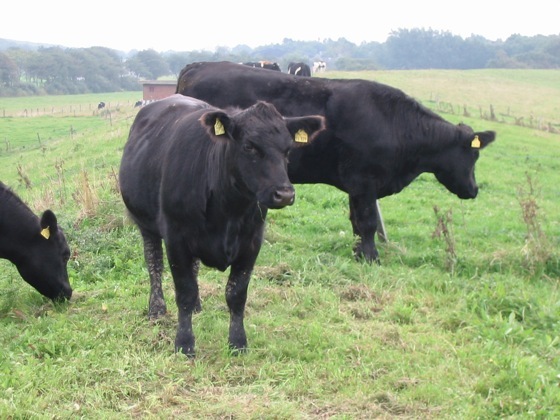 Earlier this week it was reported that the Tories may allow low-quality hormone-treated beef to be sold in the UK to secure a trade deal with Australia – a proposal the National Farmers’ Union said would put farmers in the UK at a competitive disadvantage. The Scottish Secretary is visiting food and drink producers in Scotland to justify a power grab over devolved areas as part of Brexit. “The Tories think they can do anything they want to Scotland and get away with it. “Once upon a time the Scottish Tories agreed that a power grab over devolved issues would be unacceptable. Now David Mundell is touring the country as a Brexit salesman – but Scottish food producers won’t be sold a pup. “Despite all of the Tory promises that countries would be lining up to sign gold-plated trade agreements, it’s becoming ever clearer that the UK government would sell their granny to get a deal. “There’s a very real risk that Brexit will mean the UK market is flooded with hormone-treated beef, chlorinated chicken and GM crops – putting our farmers at risk to save Theresa May’s blushes. “That’s why the power grab matters, and that’s why David Mundell’s PR operation is falling completely flat. Banffshire and Buchan Coast MSP Stewart Stevenson is encouraging youth organisations to apply for Erasmus + funding. It has been revealed that there is more than €12million of funding available with the deadline for applications closing later this month. The Erasmus+ funding enables participants from the UK to go abroad to study, work, volunteer, teach or train. It funds around 16,000 higher education students to benefit from a study or work placement abroad. The funding is open to schools, further and higher education, adult education and youth organisations. “The Erasmus+ programme has benefited many young people for years. “I am pleased even more funding have been made available to help even more young people and groups in my constituency benefit from these opportunities. Banffshire & Buchan Coast MSP Stewart Stevenson has submitted his response to the review of Minor Injuries Units which closes tomorrow (Wednesday 4 April). Aberdeenshire Health and Social Care Partnership initiated the review in December 2017 which aims to take into account “location, demand and activity, practitioner competency and ongoing sustainability”. “The geographic nature of my constituency and indeed Aberdeenshire as a whole is very much rural, and localised medical treatment is an issue of importance for many of my constituents. “I am aware that some of the services provided in Chalmers Hospital in Banff for example, such as the availability of expert radiographers and the provision of specific blood tests to identify blood clots or heart attacks, help to reduce acute admissions to care providers in Aberdeen and Elgin many of which would require ambulance transport. “While it is right that provision of any public service is reviewed from time to time to see how it may be improved, it seems clear from the feedback I have received from constituents that these services are greatly valued in their communities and any reduction in service would have knock-on effects, not only potentially to local GPs and the ambulance service, but to patients themselves who may be faced with longer journeys for minor injuries. Today’s Scottish Times reports that Liam Fox may bow to the Australian Government’s demands that cheap, low-quality hormone-treated beef can be sold in UK markets in any post-Brexit trade deal. The sale of hormone-treated beef has been banned in the European Union since 1981, amid concern about a potential cancer link. “The hard line Brexiteers are now a clear threat to the producers of high quality Scotch beef, and their desperate scramble for trade deals is putting the future of Scotland’s rural economy on the line. 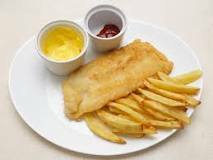 “The Tories have already sold out Scotland’s fishermen in Brexit negotiations - they must not be allowed to treat Scottish farmers with the same contempt by lowering food standards and allowing cheap, hormone-treated beef to flood the UK market after Brexit.